Every now and again, after we make a brisket, we’ll have leftovers. It’s not common, mind you. 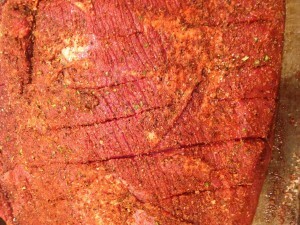 Usually, the brisket is simply gone, or close to it. Often, we’ll send it home with a friend, who I believe is brisket’s biggest fan. But, it does happen sometimes. And when it does, it’s pretty easy to find stuff to do with it. New Year’s Day 2013, we made brisket hash. Simple. Delicious. Simple yet delicious breakfast out of leftover brisket. Add enough butter to cover the bottom of your skillet. Chop your potatoes and onions. Add to the skillet over medium heat. Cover and wait, to make sure that your potatoes become soft. 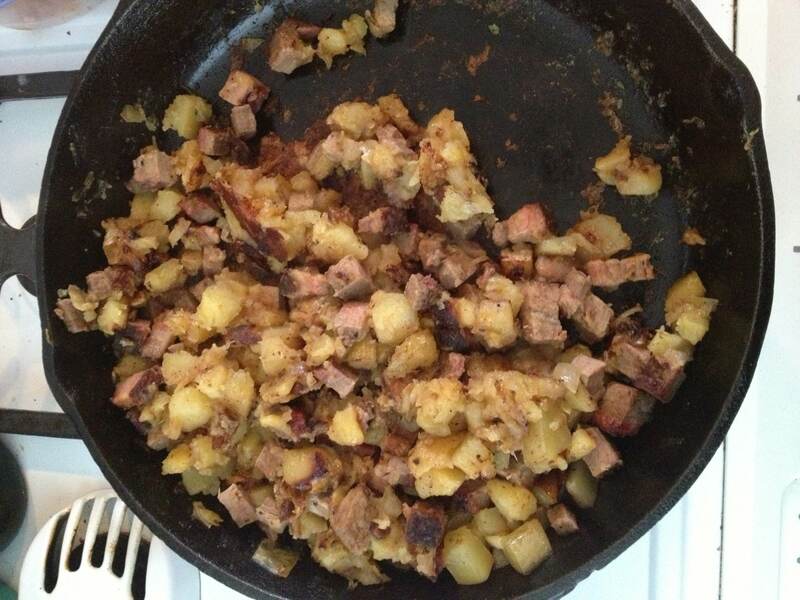 Like with cat food, er canned corned beef hash, I like to flip the potatoes infrequently, to allow them to brown as much as possible. Best part, after all. Once the potatoes are close to done, add the cubed brisket and recover. Let it cook together for a few more minutes, and then remove the cover to add a bit of browning.